More often than not, the cloakroom is the smallest room in the house, tucked away under the stairs or in a far corner of the home. 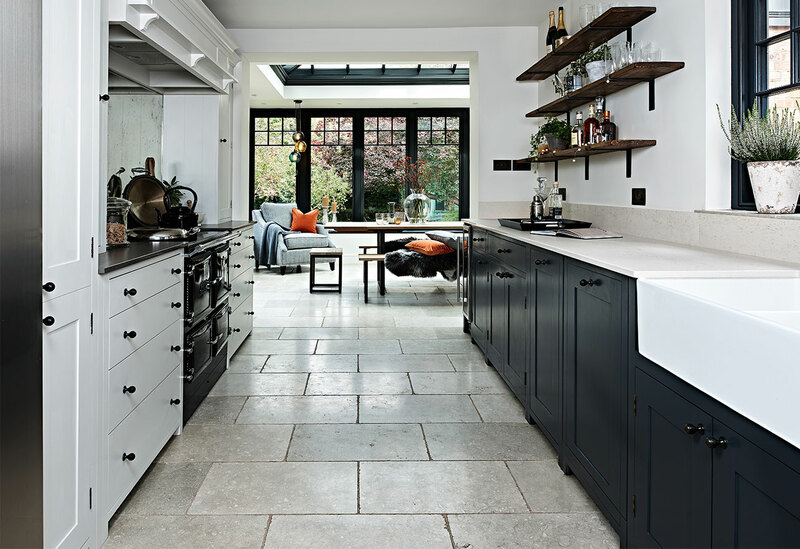 However, it’s one of the most used and not only by family members, but guests too, making it an important room to get right. Due to its size, it’s a great room to experiment with your creativity and be a bit bolder with your design choices. 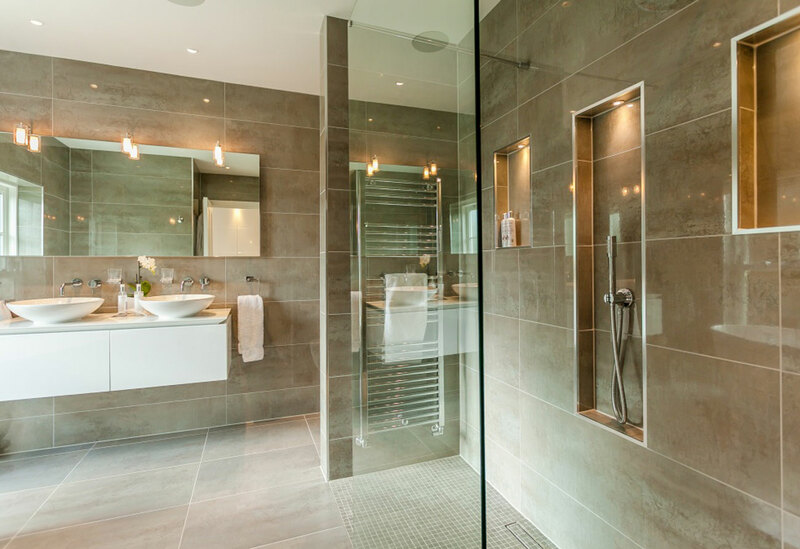 Pattern is often more effective in a smaller space whereas in a larger space it may be overpowering. 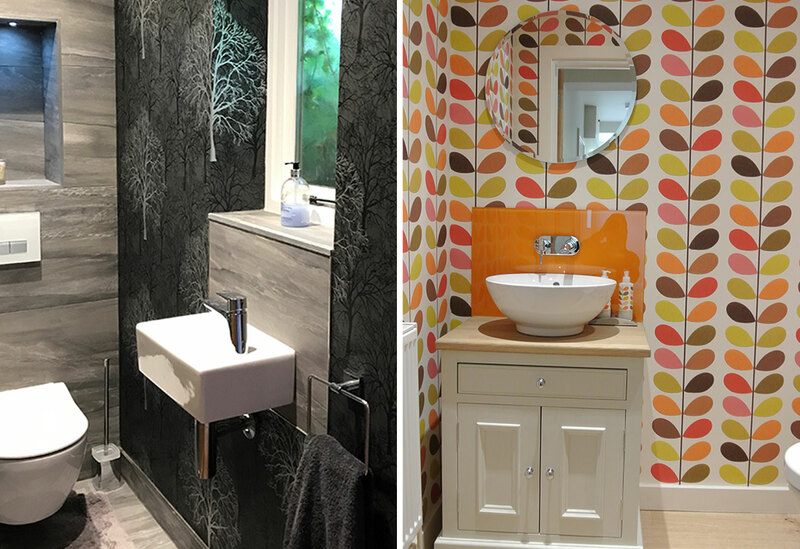 Here two of our clients opted for patterned wallpaper, one bold and statement Orla Kiely print paired with a glass orange splash back, whilst the other decided on a more subtle print that highlighted the grey tones in the tiles. However, pattern doesn’t always need to be on the walls. 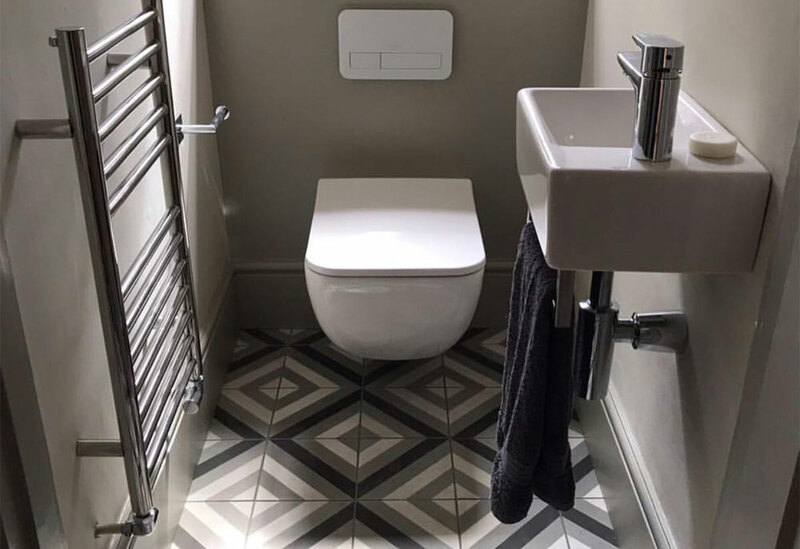 In this cloakroom above, tones are muted and furniture is minimal, yet the patterned tiles on the floor offer a beautiful design element to this simple and stylish room. 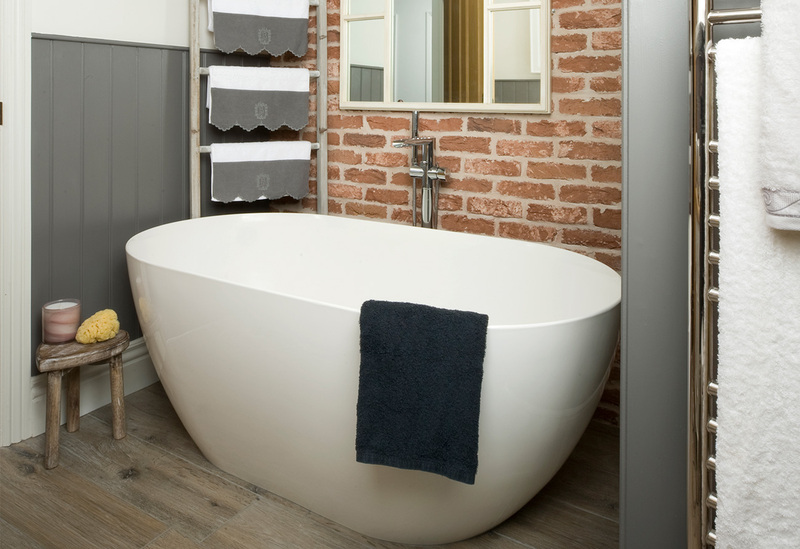 Limited space means storage is key and in particular retaining the feeling of space at the same time. 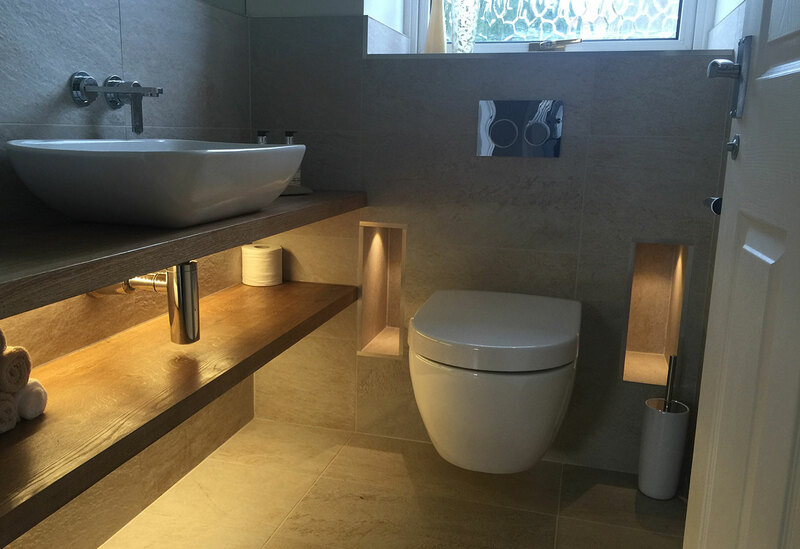 Wall hung units are perfect for cloakrooms, leaving floor space free and by adding a floating shelf as we have done here there is hidden storage space. Niche’s in the boxing are also a great additional place for more decorative items. 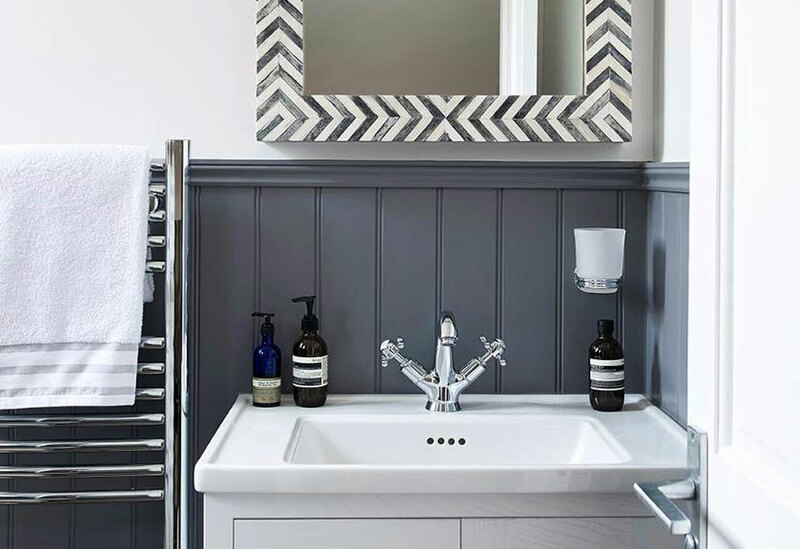 Bring interest to your cloakroom by adding texture. 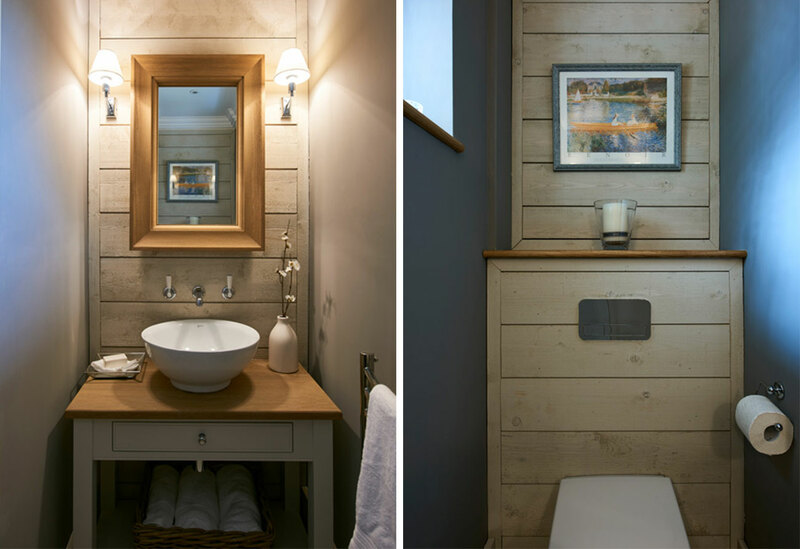 Here we used shiplap panels at either end of this cloakroom to create a unique and inviting space and combined this with other types and colours of wood in the vanity unit and mirror. 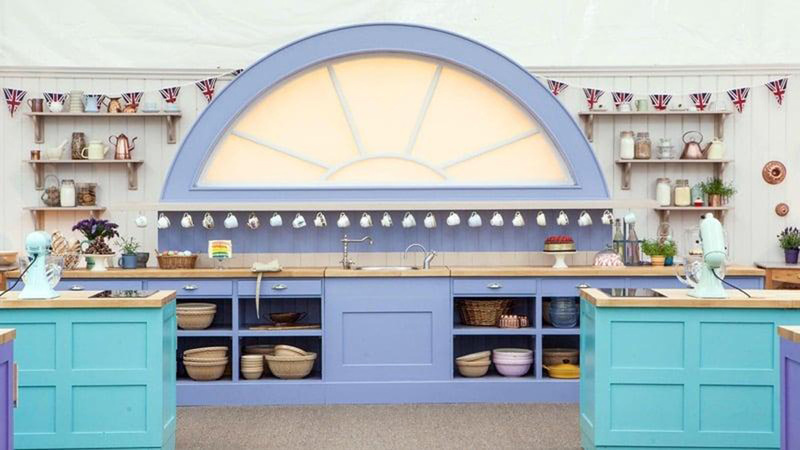 The blue on the walls also adds a slightly nautical element. 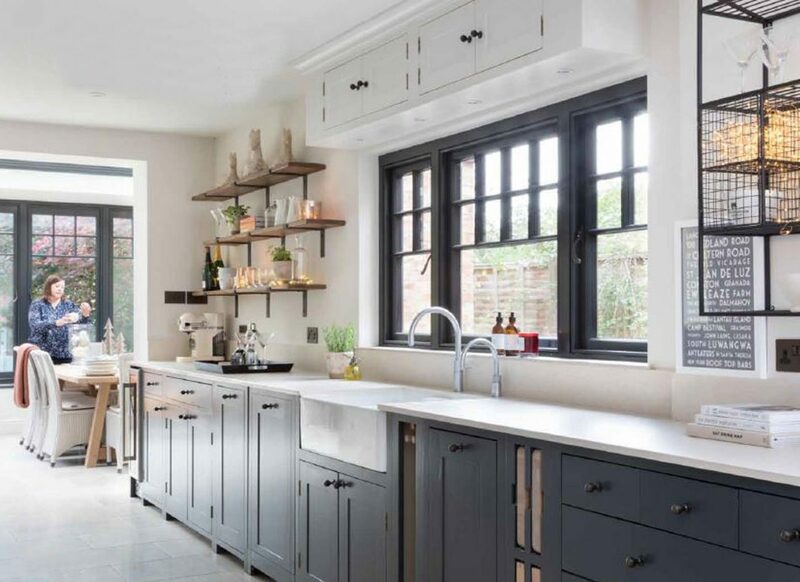 Alternatively, for more of a classic look try tongue-and-groove panelling. 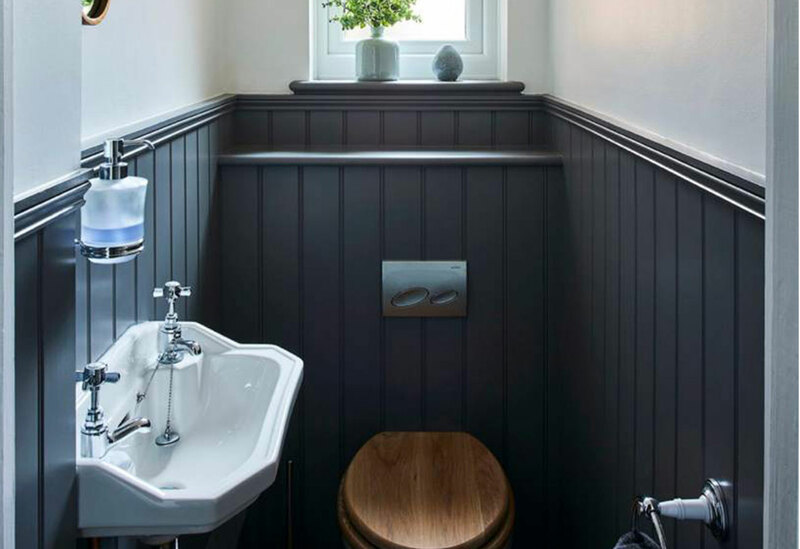 It visually frames this stylish cloakroom and the bold colour choice works beautifully with this traditional look in this compact space.